Justin Jones (dancer, choreographer), Chris Yon (choreographer), Max Wirsing (dancer, house manager), Tim Cameron (multi-disciplinary artist), Genevieve Bennett (theater director), Tammara Melloy (dancer, choreographer), Cara Ann Krippner (dancer, choreographer), Colleen Harriss (dancer, choreographer), Chris Schlichting (choreographer, performer), Diane Aldis (dancer, administrator), Suzanne Wiltgen (dancer, choreographer), Brinsley Davis (dancer, choreographer), Jamey Garner Leonard (dancer, choreographer), John Munger (dancer, choreographer, administrator), Charles Campbell (performing artist), Megan Mayer (performing artist), Elliott Durko Lynch (performing artist), Theresa Madaus (dancemaker, performer), Ben Johnson (curator), Jill Foster (dancer, choreographer), Erin Drummond (dancer, choreographer), Edna Stevens (choreographer, performing artist), Judith Howard (dancer, choreographer), Christopher Watson (choreographer), Stacy Pottinger (performer, teacher), Sarah LaRose-Holland (dancer, teacher, choreographer), Monica Thomas (dancer, choreographer), Paula Mann (time juggler, choreographer), and Michèle Steinwald (arts manager). 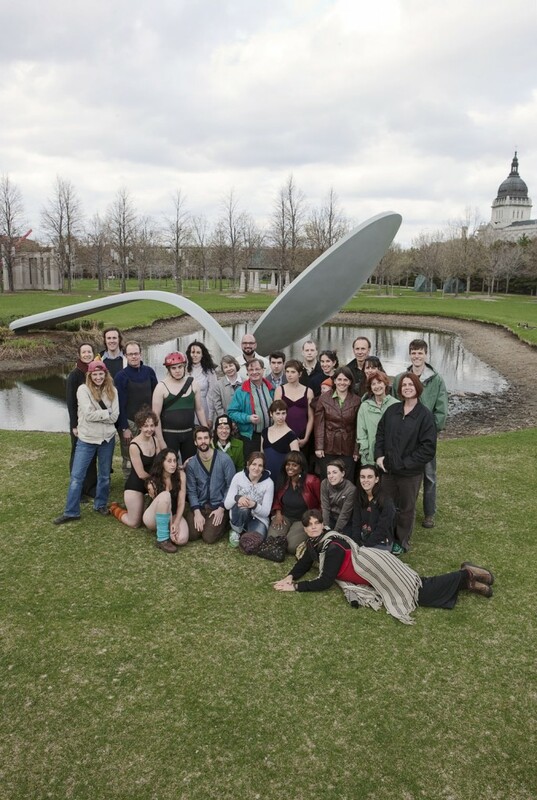 Even though the spoon was missing its cherry, we increased the number of dance folks from last year. Keep spreading the word and coming together!